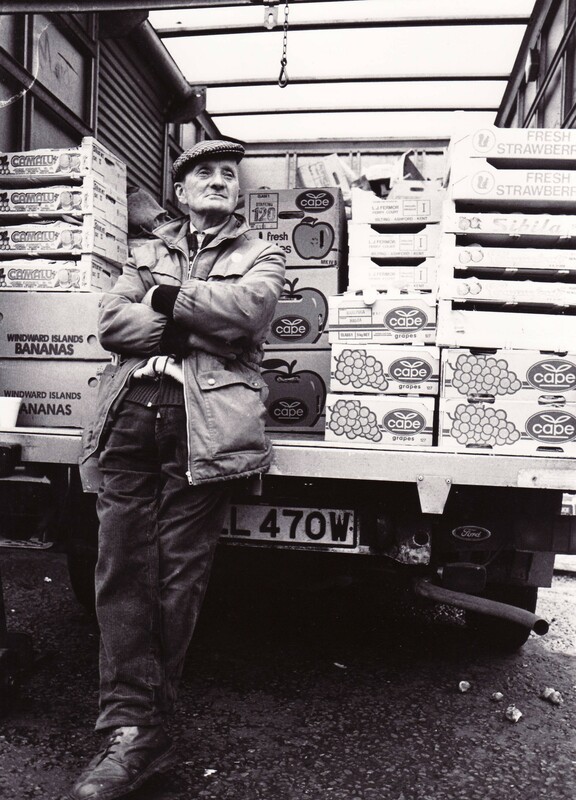 In the last eighteen months of the Fruit and Vegetable Market in Spitalfields, young photographers Mark Jackson & Huw Davies set out to record the life of the market that operated on this site for over three centuries, before it closed forever in 1991. As recent graduates, Mark was working in a restaurant at the time and Huw was a bicycle courier. Without any financial support for their ambitious undertaking, they saved up all their money to buy cameras and rolls of film, converting a corner of their tiny flat into a darkroom. 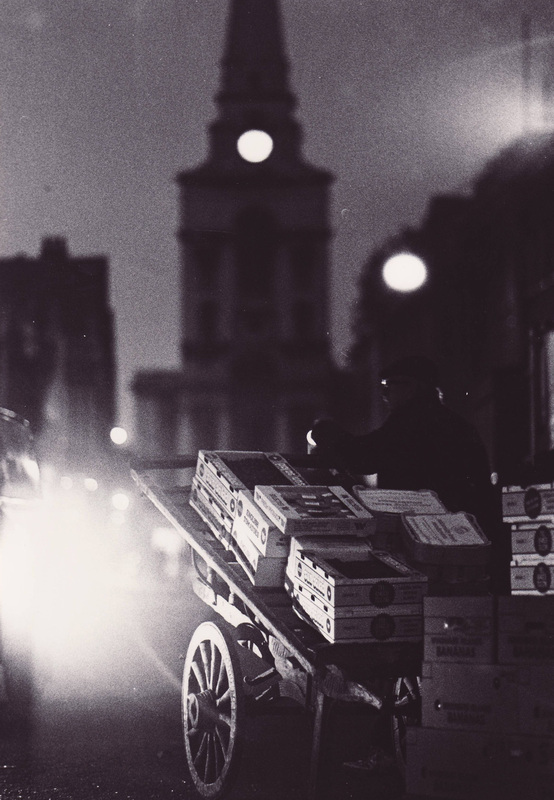 The result of their passionate labours is an unparalleled archive of more than four thousand images that has recently been acquired by the Bishopsgate Institute and will be shown there in a major exhibition later this year. It is my privilege to be able to show you a small selection of these phenomenal pictures that have never been seen before, the first glimpse of an undiscovered photographic treasure trove. I have the greatest respect for anyone who sets out to pursue idealistic projects such as this at great cost to themselves of money, time and labour. In this case, I am equally impressed by the quality of Mark & Huw’s photographs as distinguished social documentary, unsentimental yet infused with affectionate poetry too. Today, we are the fortunate beneficiaries of their selfless enthusiasm over all those months when they stayed up each night to take pictures and worked each day to buy film. It sounds like a beautiful story in retrospect but I have no doubt it took plenty of determination to carry the project through in isolation. 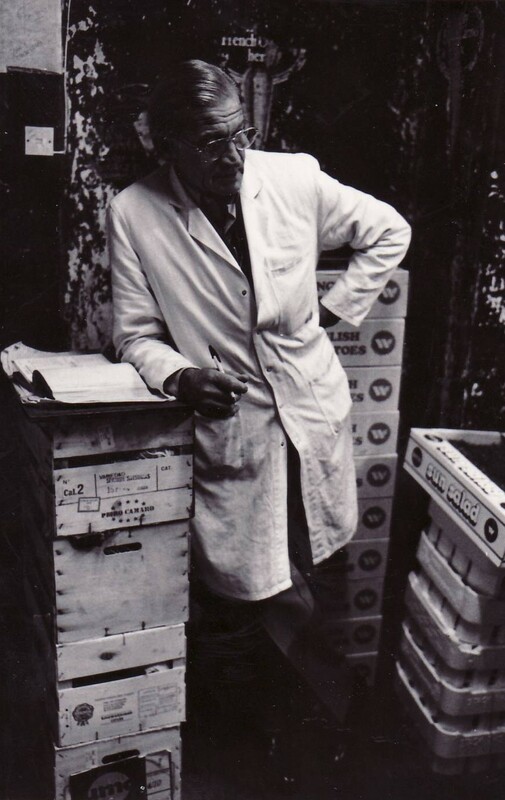 I know that the market traders warmed to the young photographers and I think, in part, this accounts for relaxed intimate nature of some of these images, because the traders respected the commitment that Mark & Huw demonstrated, turning up night after night. This particular set of images take us on a cinematic journey from the busy nocturnal world, when the market was active, through dawn into the early morning when the drama subsided. 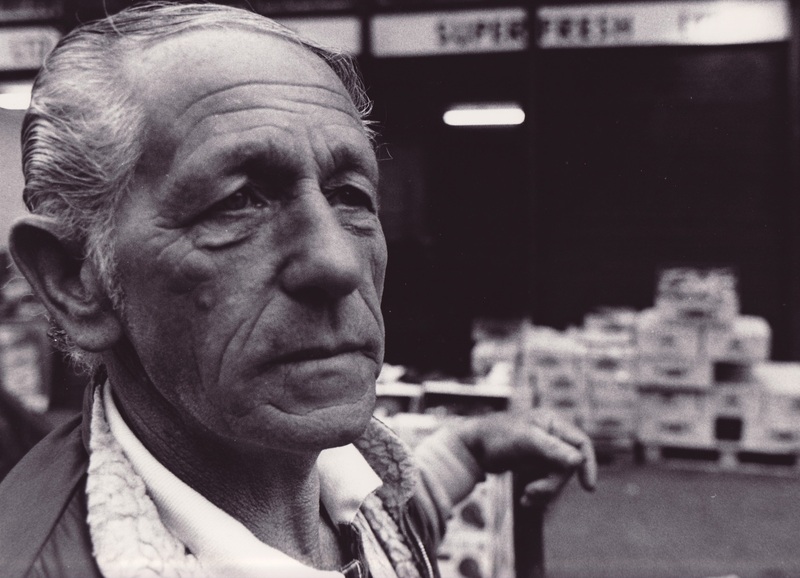 Mark & Huw photographed a dignified gallery of both the market traders and the homeless people, who were drawn by the fire that always burned to alleviate their discomfort ever since the market was granted its charter. 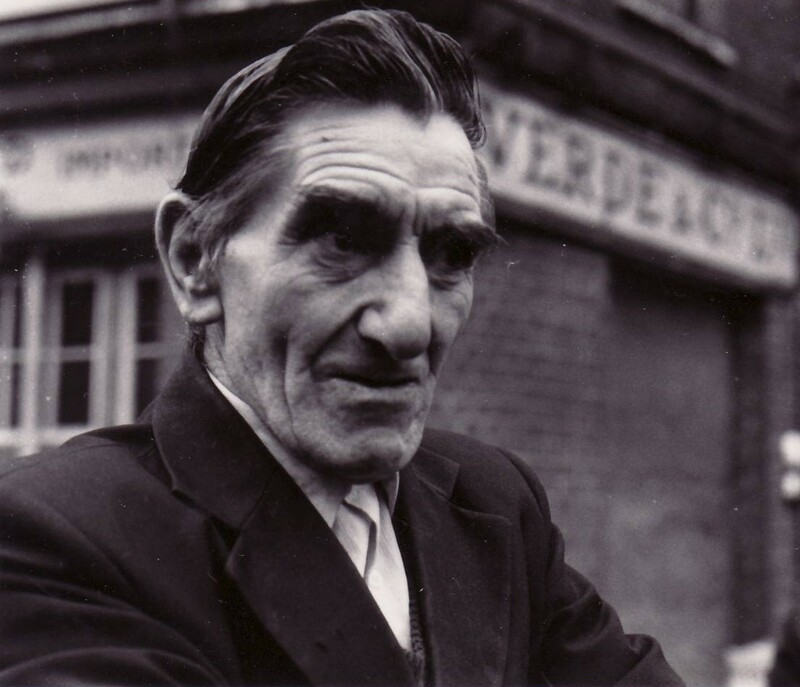 We no longer see any of these characters in Spitalfields. 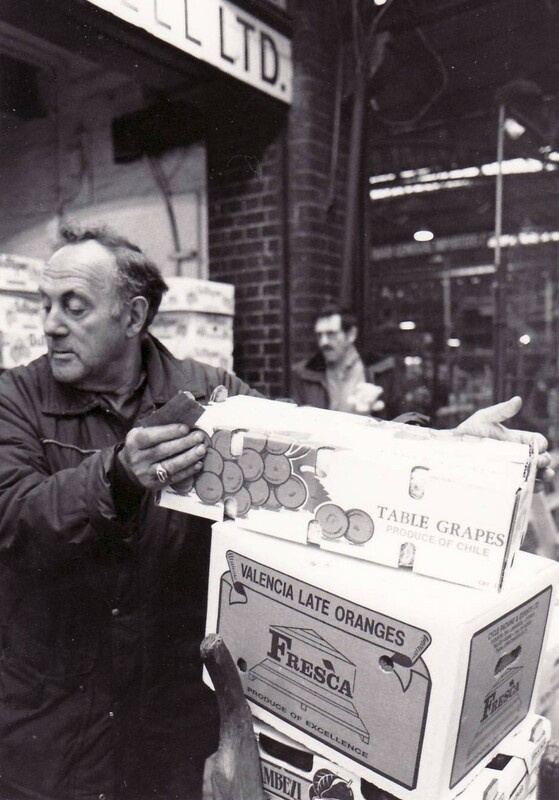 These men would look displaced here in the renovated market today, they are soulful faces from a universe that is gone. 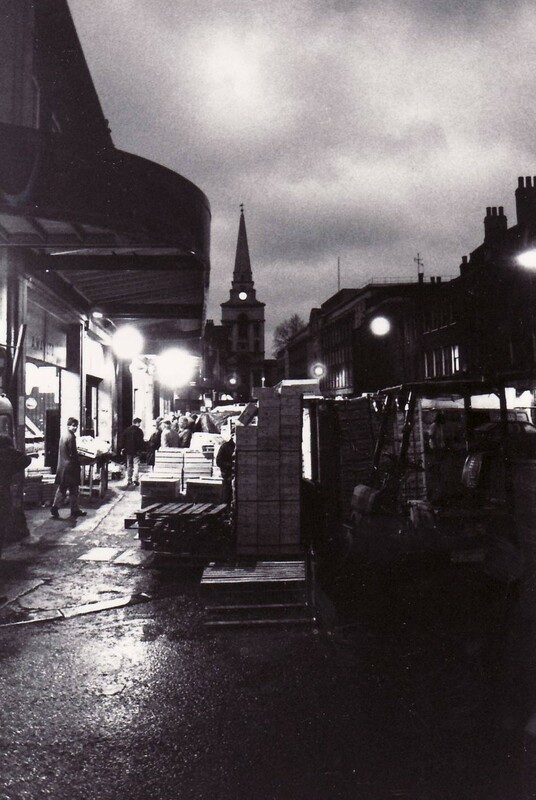 When I walk through the Spitalfields Market at night now, it feels like an empty theatre, lacking the performance of the nightly drama that ran from 1638 when Charles I signed the licence to commence trading. Even though Mark & Huw took their pictures only twenty years ago, they describe a society that feels closer to the world Dickens knew than our own present tense, ten years into the twenty-first century. 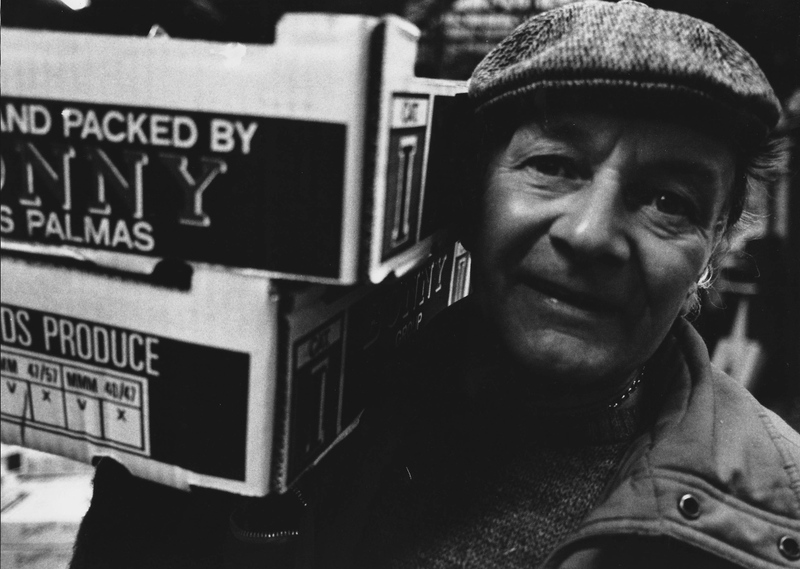 Inspired by Tom Hopkinson and Bert Hardy’s work at Picture Post, these photographs were to become the first of a series documenting all the markets of London, that might have been a lifetime’s vocation for Mark & Huw. It was not to be. Life intervened and without any support the projected sequence was abandoned. 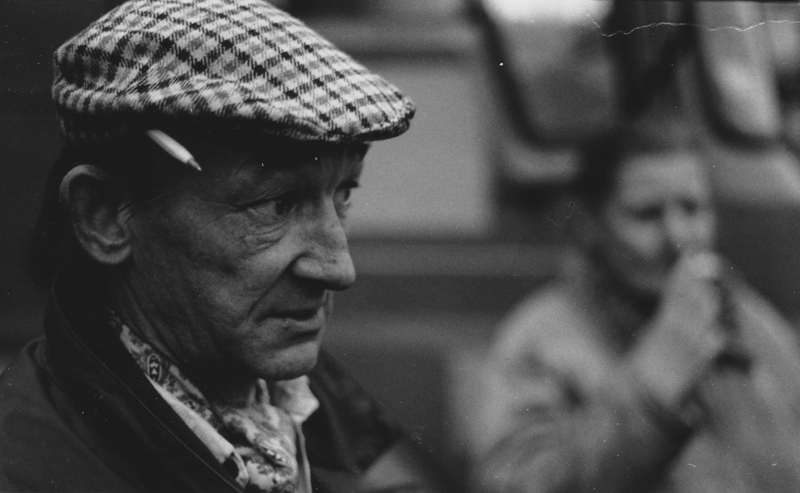 Mark became a writer and Huw is now a teacher – they each have lives beyond their nascent photographic enterprises – but they deserve to be proud of these vital pictures because they are an honourable contribution to the worthy canon of British documentary photography. 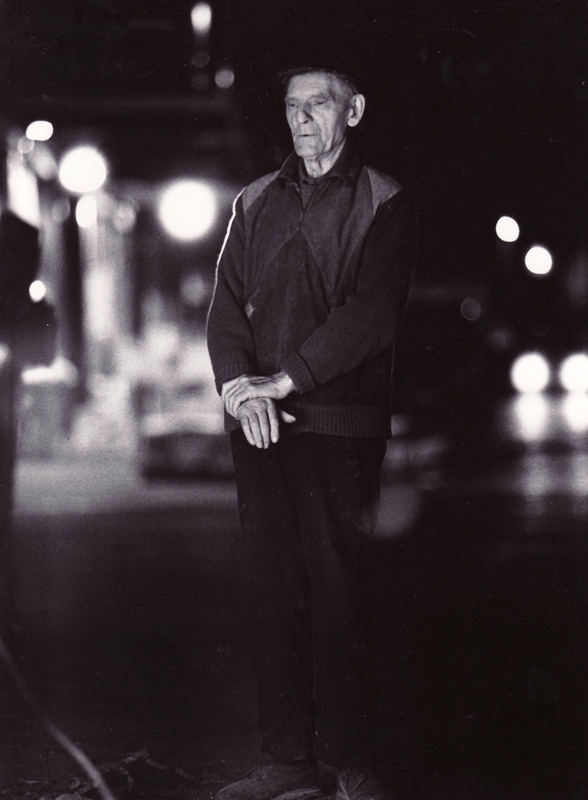 Thank you for letting us see these photographs, with their glimpses of early morning lights, wet streets, memorable faces, strong backs, upturned carts, and the rest. I compare some of these photos to my memories of New York City when I first moved here, and wonder how could so few intervening years add up to such a feeling of nostalgia. What do you think about the evolutionary process? People, places, things and thoughts. 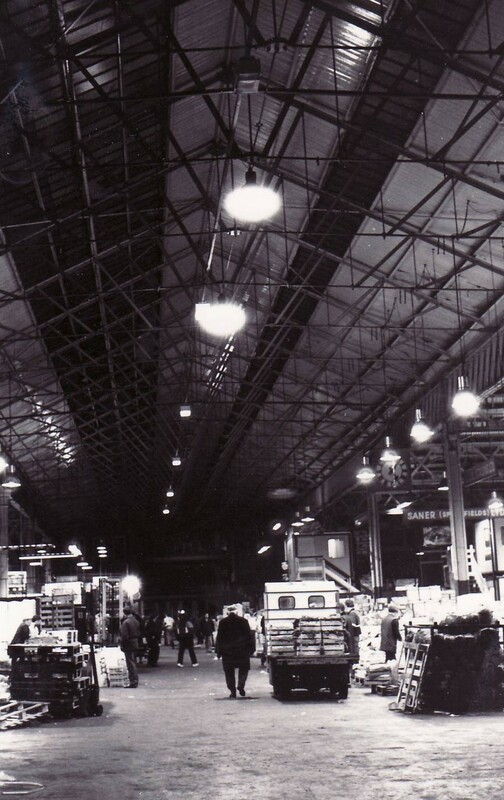 and remember the characters and atmosphere of this London now long gone. Great photos – great post! What beautiful photographs. I can’t believe I haven’t seen these before! I am so proud of you Mark Jackson! These photographs are fantastically evocative of a pre-technological age (love the old telephone) and the use of facial expressions and light are wonderful – they give such a strong sense of atmosphere. I’m sorry Mark and Huw didn’t carry on with their photography, they must have been both sympathetic and professional to have caught such good images. The photos are remarkable. 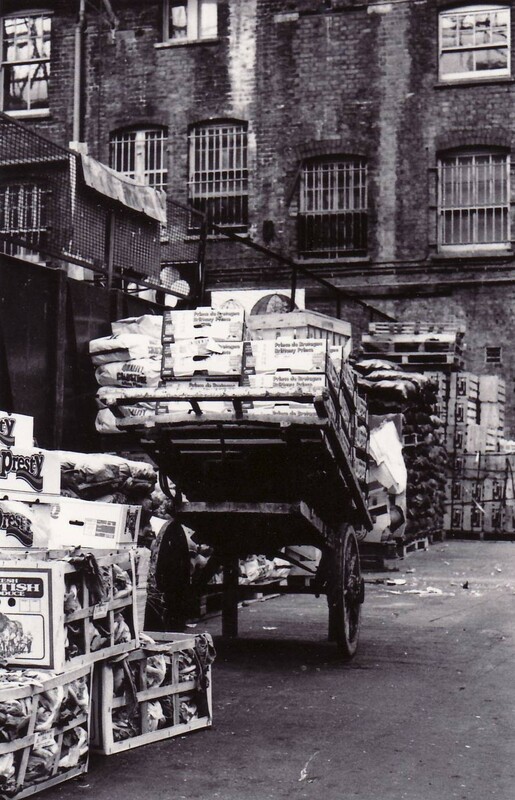 I am particularly taken with that cart, which reads (spitalfields) & Co. Fainter writing of an early age is painted along the base and etched into the wheel rims. It looks like it had been going to market for 100 years, and I hope that it still is, somewhere. I hate to see all such useful, older pieces becoming just prettified flower holders in front of a quaint cottage or museum displays. A lifetimes’ work is etched onto these expressive faces. It is the people that stood out for me in these photos and yes, I agree that they could have been from the 50s. A time now long gone. These photos are fantastic and Mark Jackson and Huw have done some fabulous work here capturing a very special moment in time. The men captured look like they would have had some very interesting stories to tell. The clarity and detail in each photograph is incredible. I particularly like the way the artists have focused on a particular element in each scene yet our eye is still drawn to explore other aspects of the pictues: This is a real tallent. These photographs would look fabulous expanded and printed onto canvas. Thank you for sharing them with us. 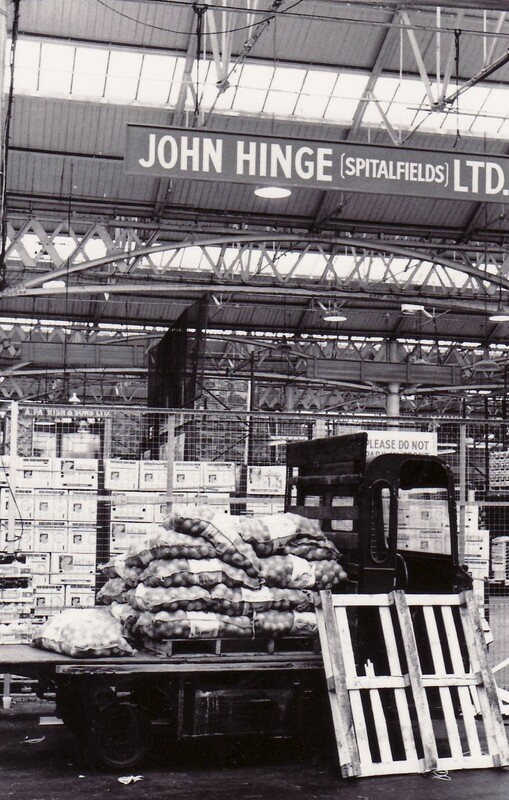 I just love the feeling and the bustle you have Captured with the B&W pictures of Spitalfields. 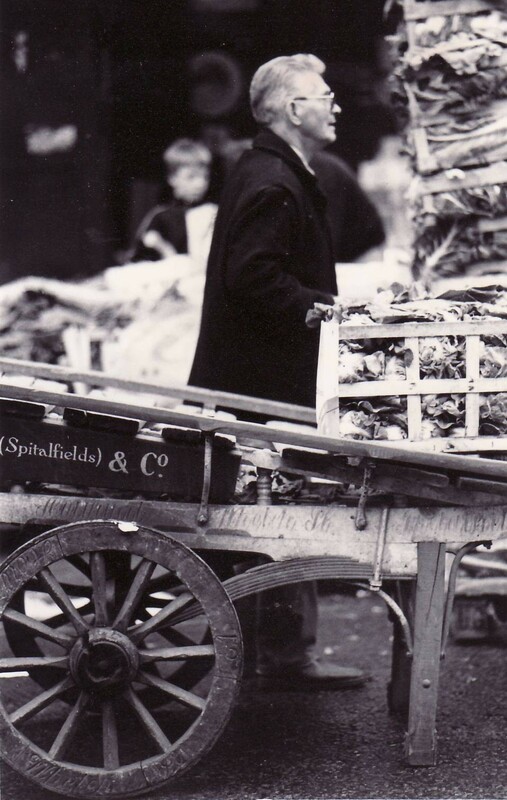 Excellent work Mark – redolent with the character and atmosphere of the Spitalfields market – well done! 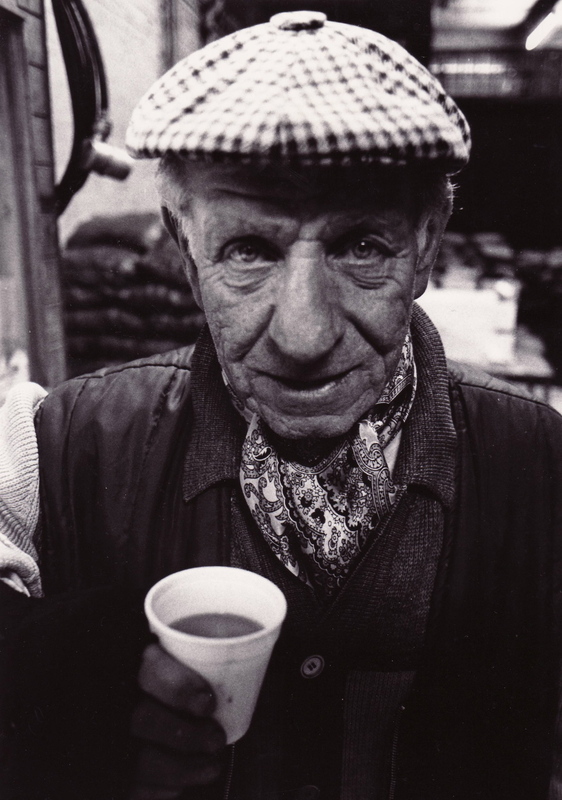 FANTASTIC PHOTOGRAPHY……….spent a lot of my early years going there with my old man and mingling with the cart minders who were all great characters. These pictures capture the vibe completely……………..superb . These photos bring back so many memories. Leman Street Police station was my first posting as a Police officer in the early 1970′s. Sptalfields was part of our ‘ground’ and I have spent many hours either plodding through here on foot patrol or responding to calls in a Police vehicle. 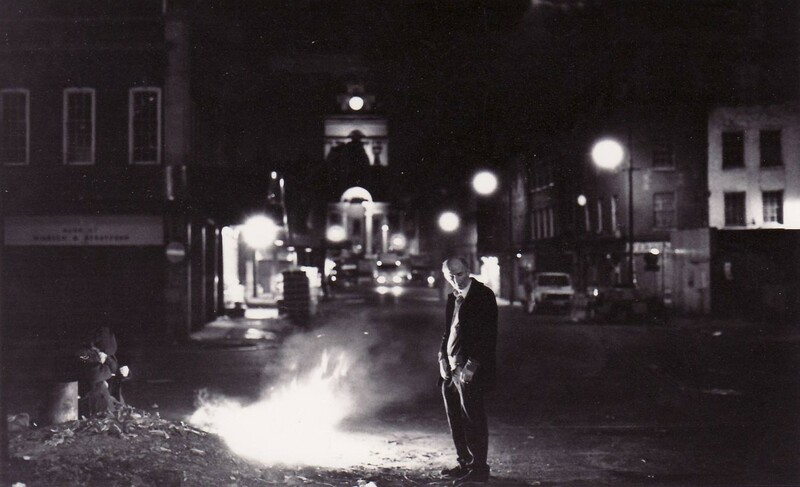 Frequently, after a leaving do in the canteen we would take all the left over sandwiches nd ckes down to the vagrants gathered round he bonfire and hand them out. I investigated the murder of a vagrant, Alfred SHAFTOE in 1976 when his body was found in the underground car park of Denning Point. Two teenage youths were found guilty of killing him. 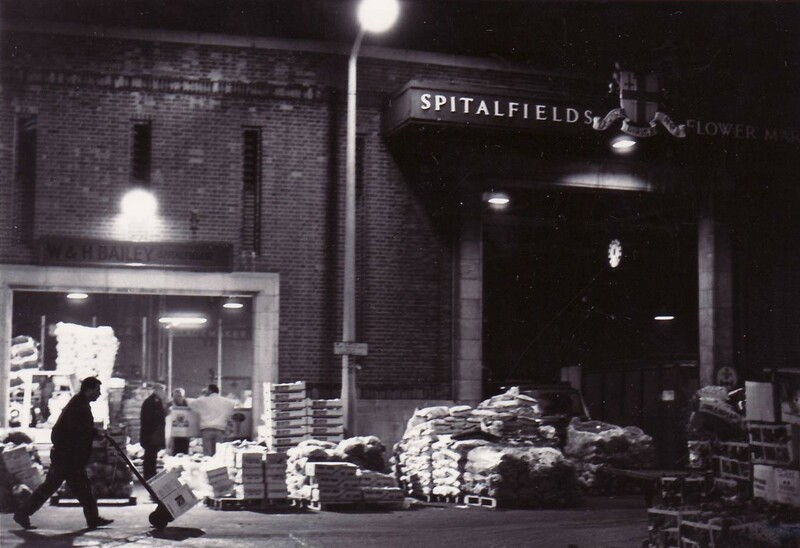 Later, whilst running a crime squad, I would challenge any young officer to go to Spitalfields market and come back without making an arrest! 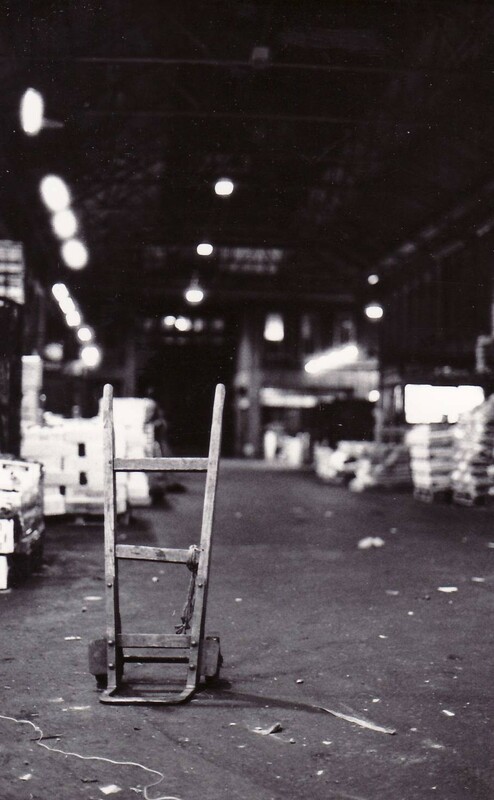 Between the time that suppliers unloaded their goods in the middle of the night and the time that the wholesalers opened, vans would sneak in and people would emerge in the shadow to steal the goods. It was a very good source of work for trainee officers . 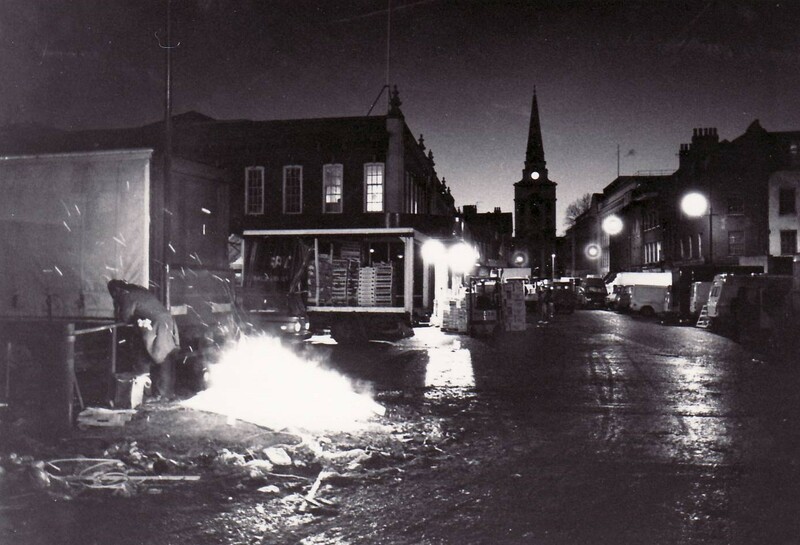 We also used the market pub on occasions, going there straight ff night duty at 6am . Thanks for some great photos and great memories. 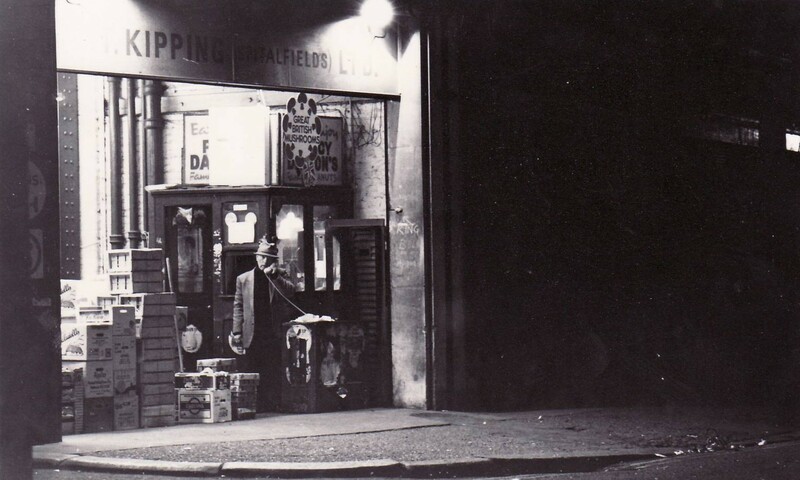 I was a young fireman back in the early 1970s and served at several East End of London stations.These images of Spitalfields are some of the most evocative and atmospheric scenes of the night life of inner London I have seen.Many were the times we would respond in the night and wee small hours to fires in and around this area, more than a few involving the “down and outs” of the district.The images with Christchurch in the background remind me of the back of that church and the bit of land known as “Itchy Park” where unwashed vagrants would congregate, along with huddling around the charity soup trailer which always seemed to be there in the dark and often cold nights. These are superb documentary records and need to be highlighted more as they have frozen in time an age that will never return. Simply magnificent and congratulations to Mark and Huw.